R.A.C.E. is a reading response strategy that helps readers effectively answer short answer questions. 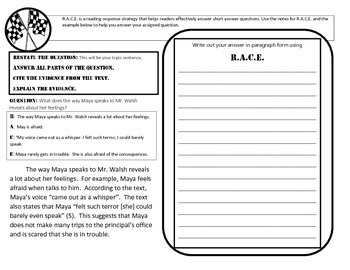 Students can use the notes for R.A.C.E. and the example provided to help them answer an assigned question.